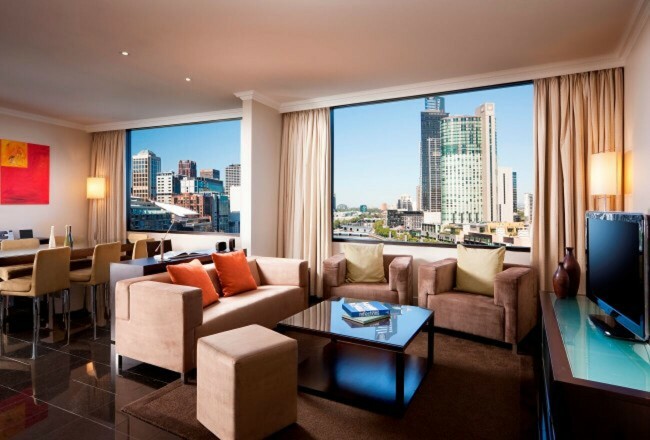 Crowne Plaza Melbourne’s suites offer exclusive accommodation on the top floor of the hotel. 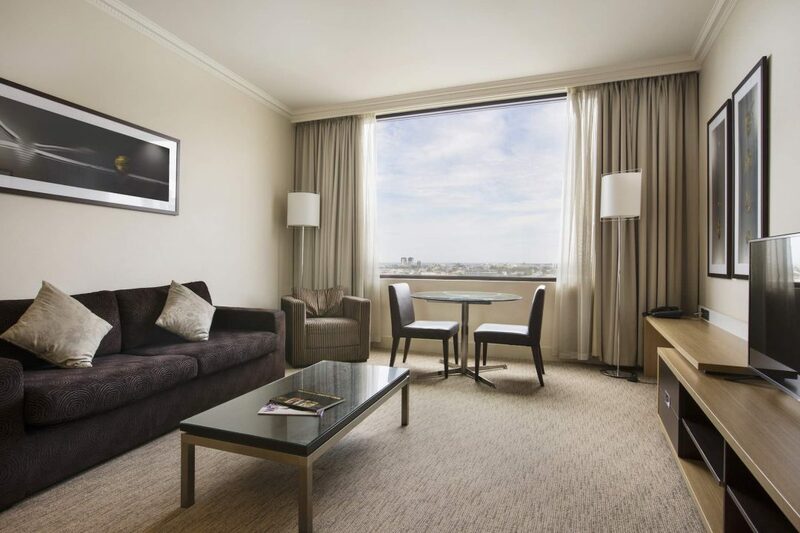 Suites have a king bed and separate lounge area, which creates more space to work or relax during your stay in our suite accommodation. 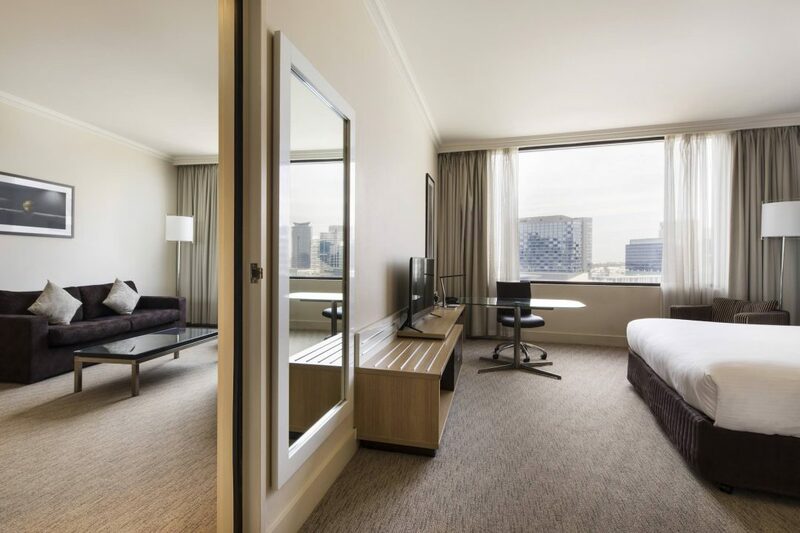 For additional flexibility or to accommodate larger families or groups, hotel suites at Crowne Plaza Melbourne are also available with interconnecting rooms. 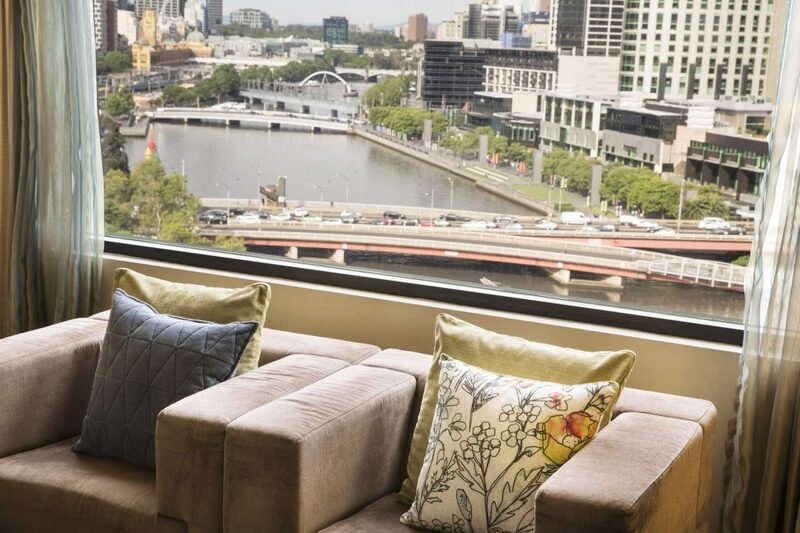 Enjoy breathtaking views of Melbourne’s City Skyline and Yarra River, in our Skyline suites. Offering a spacious living area with separate bedroom and luxurious bathroom complete with separate shower and freestanding bathtub. 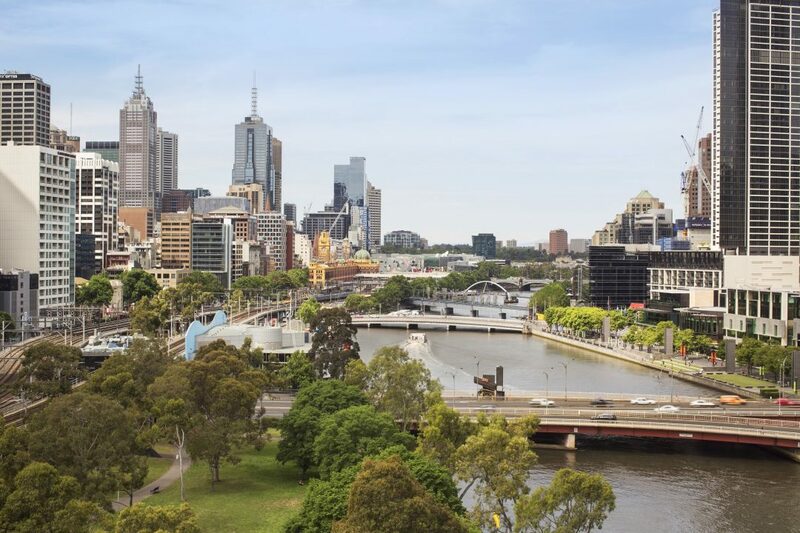 Take your stay to new heights. 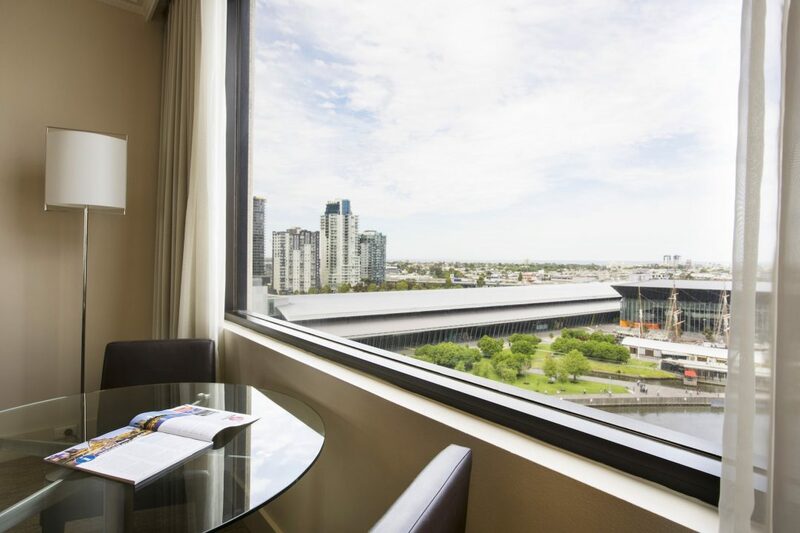 Enjoy our suite with panoramic views of the Yarra River and South Wharf. Offering separate spacious living and bedroom and luxurious bathroom complete with separate shower and freestanding bathtub. 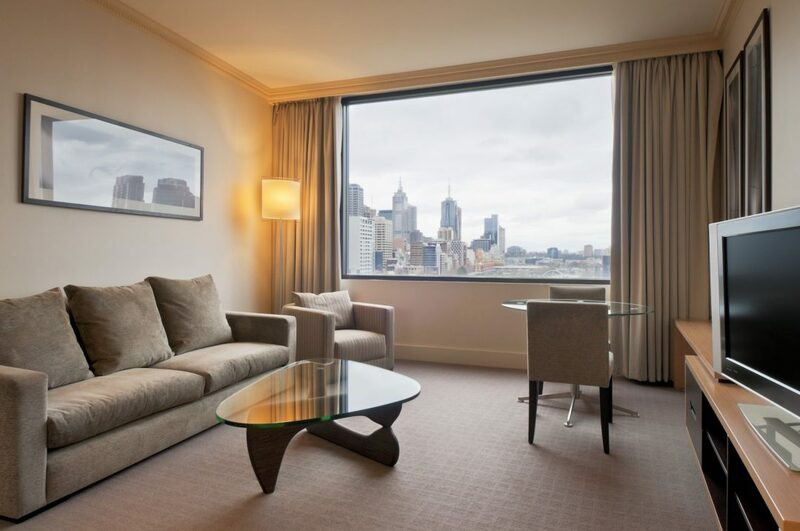 Separate Master Bedroom with King Bed, 42-inch flat screen TV, Foxtel and chaise lounge.